CIMB Bank Bhd and CIMB Islamic Bank Bhd are targeting to disburse at least RM12 billion to the 40% of households with the lowest income, or the B40 group, under facilities such as home, auto, Amanah Saham Bumiputera and personal financing for the period of 2019-2020. “In line with CIMB’s next midterm growth plan, Forward23, CIMB has sharpened its focus on financial inclusivity to fulfil the group’s vision of advancing customers and society. A nation’s prosperity is only meaningful when every single one of its people is enabled to prosper. “Being particularly mindful of the B40 segment, CIMB has taken extra steps to ensure that our lending policies are financially inclusive. To that end, through CIMB Bank and CIMB Islamic, we have targeted to disburse RM12 billion to the B40 segment as home, auto, ASB or personal financing for the period of 2019-2020, and we will not stop there. 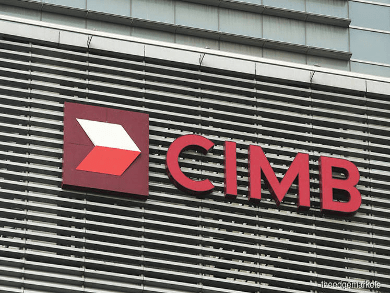 We will continue to find ways to assist the B40 segment, whether [be it] through our business operations or corporate responsibility initiatives,” said CIMB Group group chief executive officer Tengku Datuk Seri Zafrul Aziz in a statement yesterday. An example of this commitment to assist the B40 segment is via CIMB Bank and CIMB Islamic’s “lowest-in-market financing rate of 2.9% per annum”, under Bank Negara Malaysia’s Fund for Affordable Homes, a RM1 billion-fund to help the B40 segment buy their first residential property, the group said.